Between 18th and 20th of June, a project meeting with BSUIN was held at the Swedish Äspö Hard Rock Laboratory. 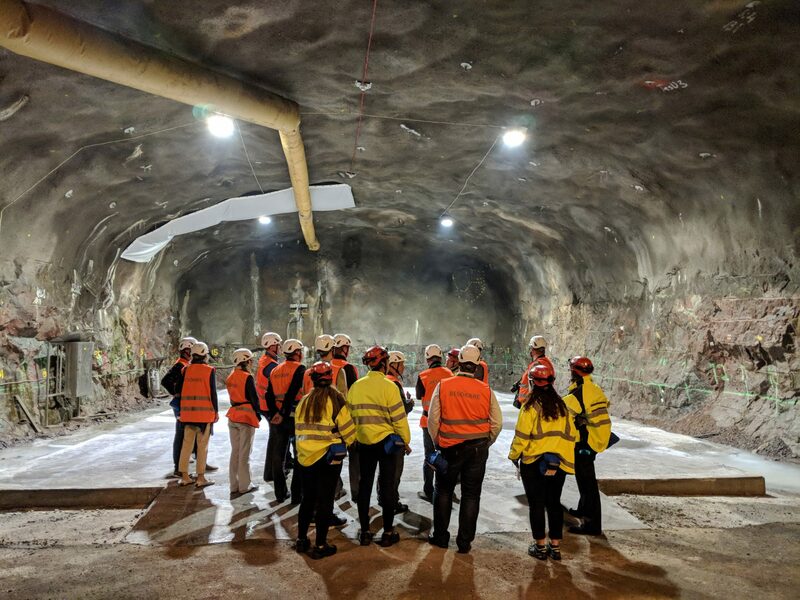 The meeting was combined with a guided tour where the participants got to know the facility both above and below ground. The first day was devoted to a meeting within the steering group. Focus on the second day of the project meeting was on service design and how to optimize the underground facilities to attract innovation projects. Several companies and organizations that have been using Äspö Hard Rock Laboratory in their innovation work, were invited to talk about their own experiences. Mats Ohlsson, representing SKB and Äspölaboratoriet in BSUIN’s steering group, was pleased with the days. 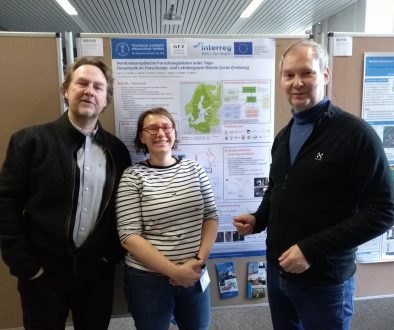 “It was a very good meeting and the great support both from project organizations and from regional and national companies and organizations that are linked to the Äspö Hard Rock Laboratory gave many helpful discussions during the three days”, said Mats Ohlsson. Linda Sharp from Maskinteknik talked about innovation work at the Äspö Hard Rock Laboratory. 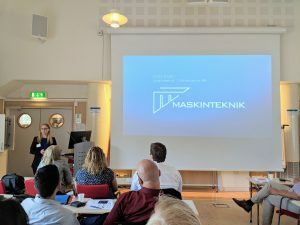 Among the companies were, for example, Maskinteknik AB where Linda Sharp talked about their long-term and close cooperation with SKB regarding the development of equipment for underground measurements and investigations. 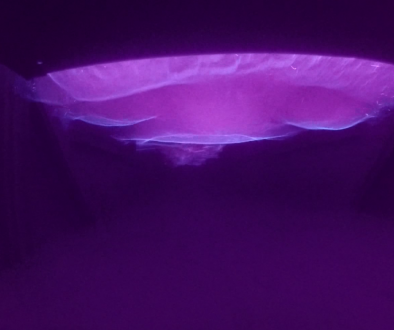 The collaboration has led to a large number of new products that are used both at Äspö Hard Rock Laboratory and by other companies. Michael Kompatscher from The Amberg Group presented The Hagerbach Test Gallery in Switzerland. The Test Gallery is a unique facility where engineers and scientists have been developing and testing tunnel construction techniques for almost 50 years. The facility can be seen as a model for the six underground facilities in BSUIN and Micheal Kompatscher had several good advices. Like many others, he emphasized the importance of collaboration between business and academia, which is a prerequisite for developing a test facility similar to Hagerbasch Test Gallery. During the third and last day, a general review of the project’s five Work Packages was made. Among other things, it was discussed how the BSUIN network will continue after the EU project has been completed. The discussions included the future organization and the tools that will be used for marketing and communication. “We have an open dialogue in the project and share generously thoughts and experiences between the different organizations. Being part of a European network is a strength for us and means that we can jointly come forward and reach out to the new customer in a better way than what each of us can do on their own”, said Mats Ohlsson. 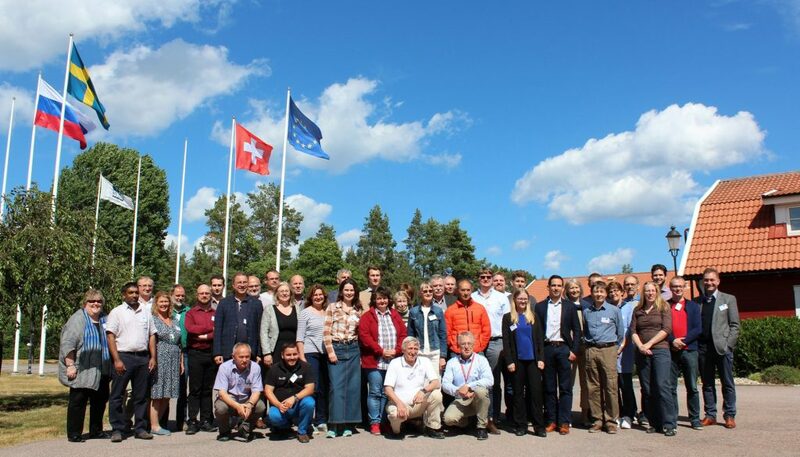 The next meeting with BSUIN is held in Poland and the KGHM Cuprum Research and Development Centre in November. The meeting included a guided tour in the underground laboratory.